Waterbodies.org is an extension of Victoria’s “Water Bowls” artwork installation “to a network of others working in the same realm.” Her concept approaches from the micro-macro point of view by employing the idea of the fourth state of water – “neither liquid, ice or vapor but ‘in an between molecular state’ - as an overarching framework and uses ports as human network nodes. Victoria’s hope to develop a network of artists, environmentalists, architects and scientists addressing issues and solutions related to water resonated with Claudia’s research and experiments creating digital environments that derive from multiple interacting elements relating to each other through generative processes and becoming complex adaptive systems. 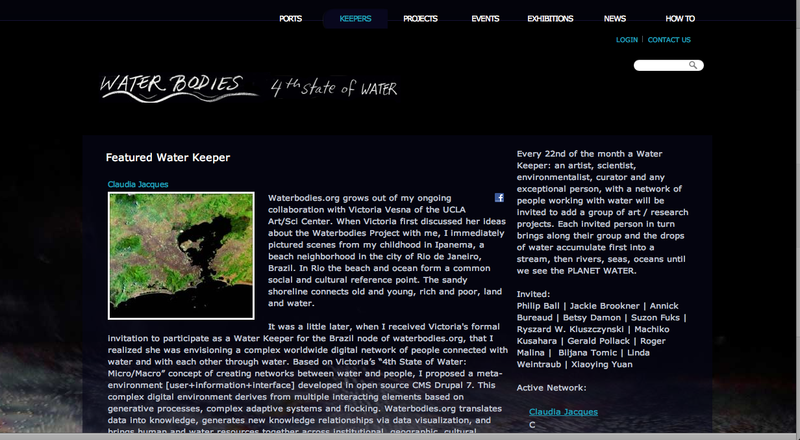 Focusing on the complexity of water and the characteristics involved in the social networks around water, Claudia’s hope is to expand Victoria’s view so that in time waterbodies.org can translate data into knowledge, generate new knowledge relationships via data visualization, and bring human and water resources together across institutional, geographic, cultural, artistic, technological, and scientific boundaries. There are many projects that address the issue of water, and it is critical to have artists, designers, architects, environmentalists, activists, educators, and scientists connected to address the issues, solutions and aesthetics of water. A Water Keeper, in addition to adding his/her own projects to waterbodies.org, represents the port he/she resides in (physically or virtually) and invite other people who he/she considers important in work related to water to add their projects to waterbodies.org. 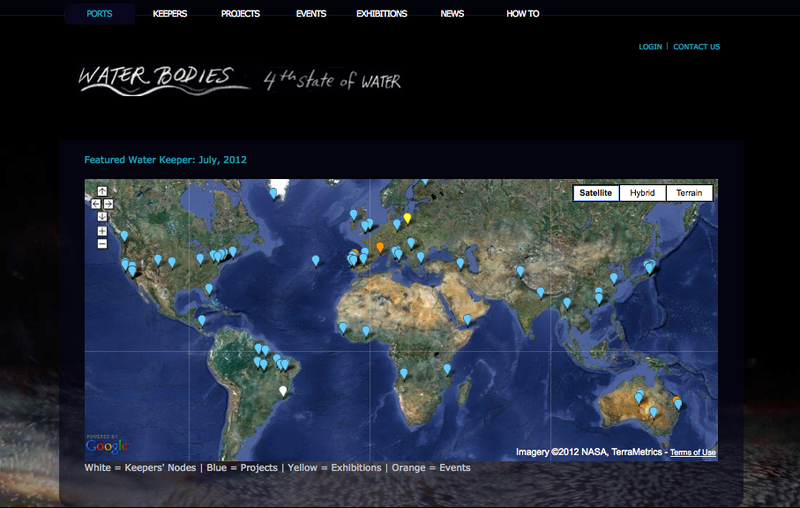 Waterbodies.org follows the Lunar Calendar and our aim is to feature a New Water Keeper and Port every New Full Moon.